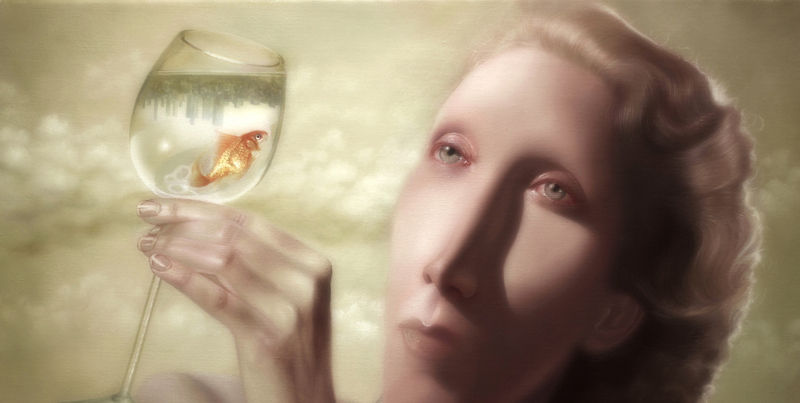 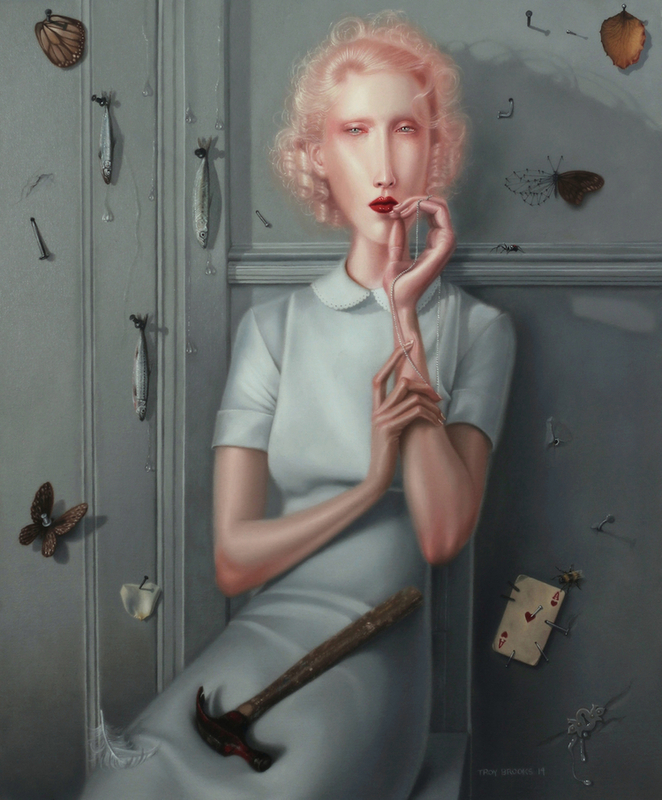 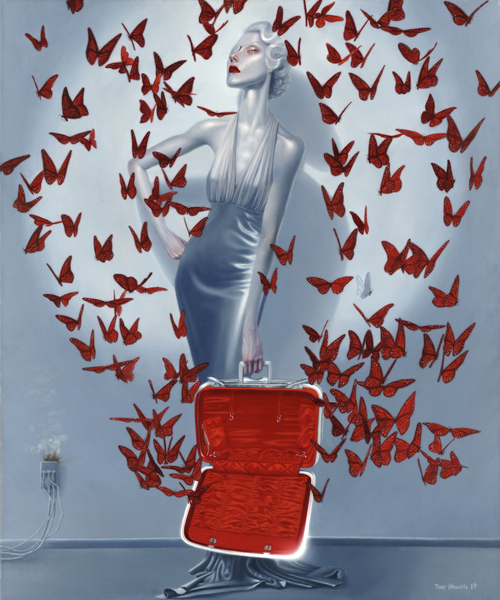 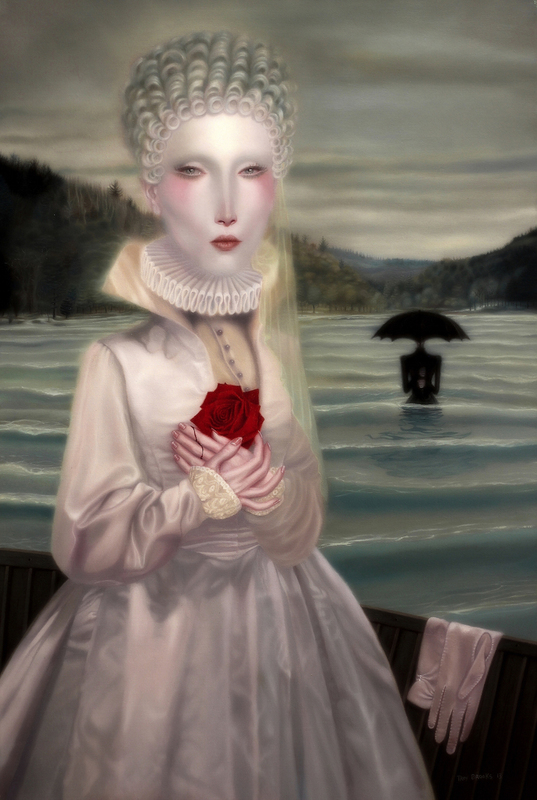 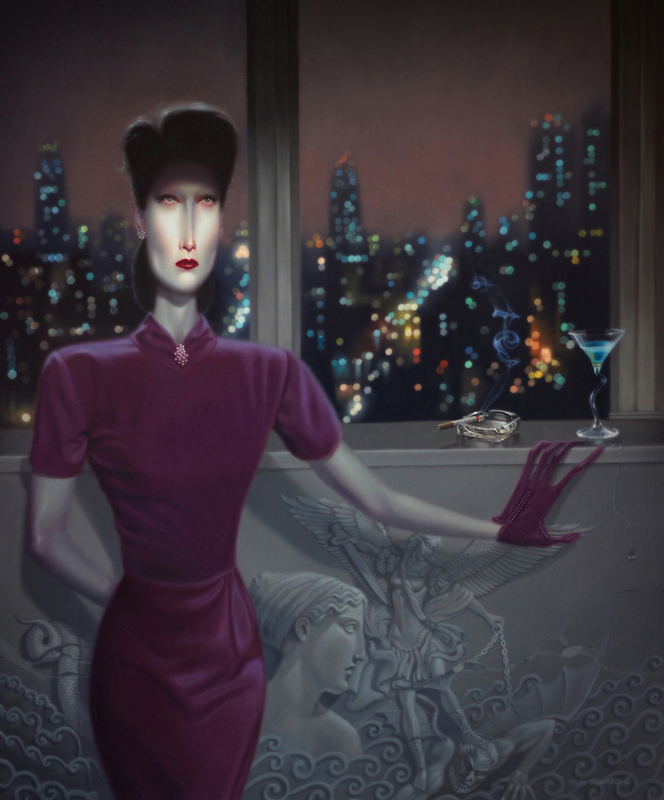 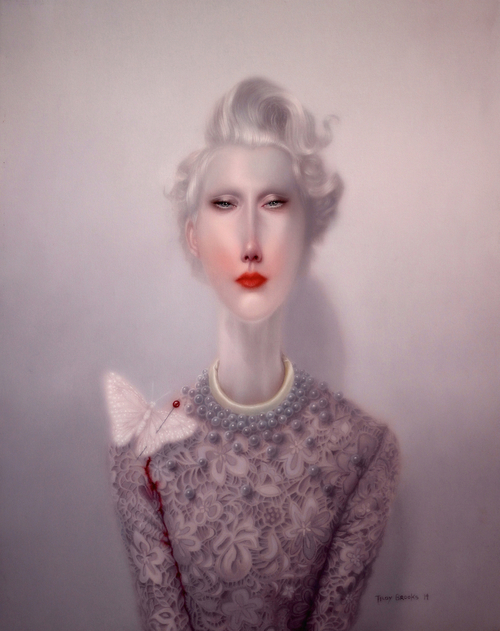 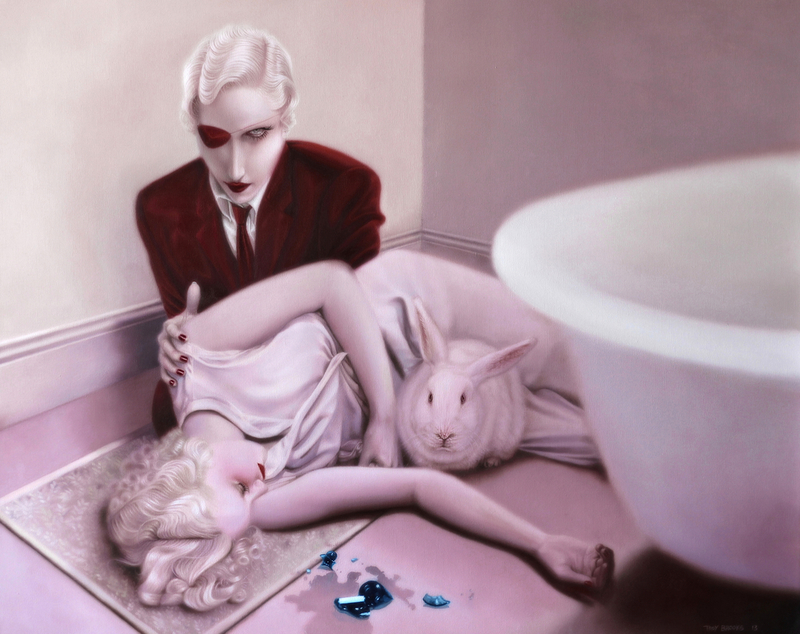 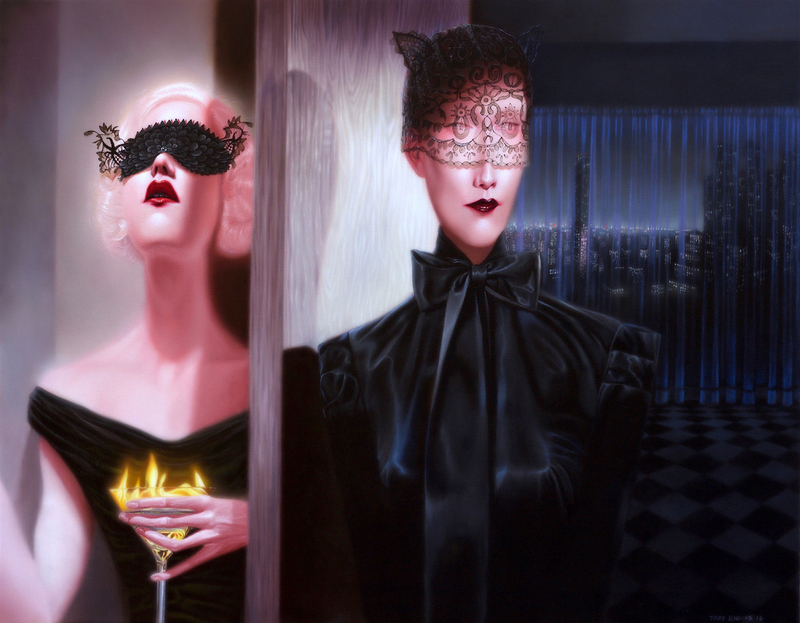 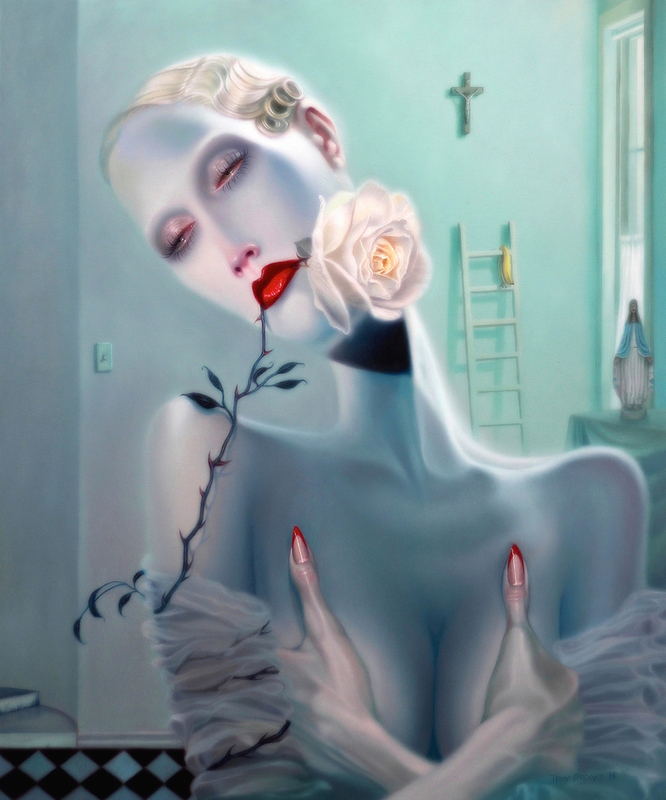 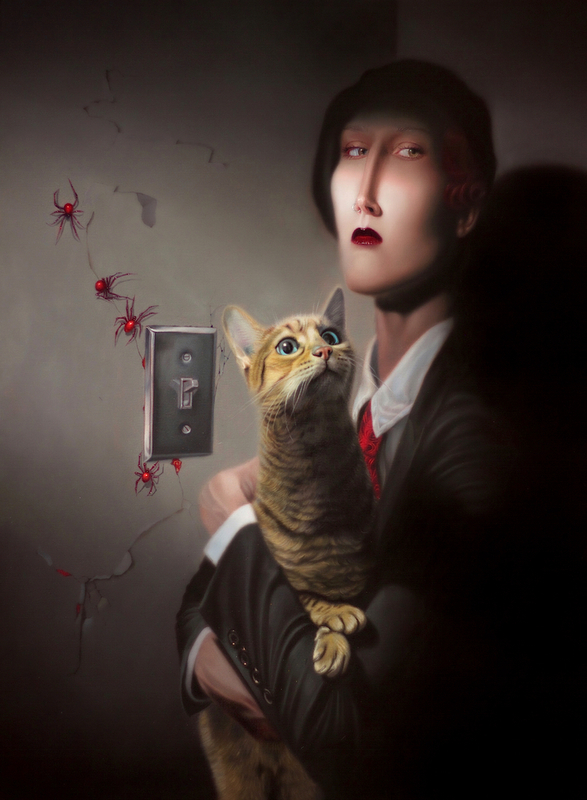 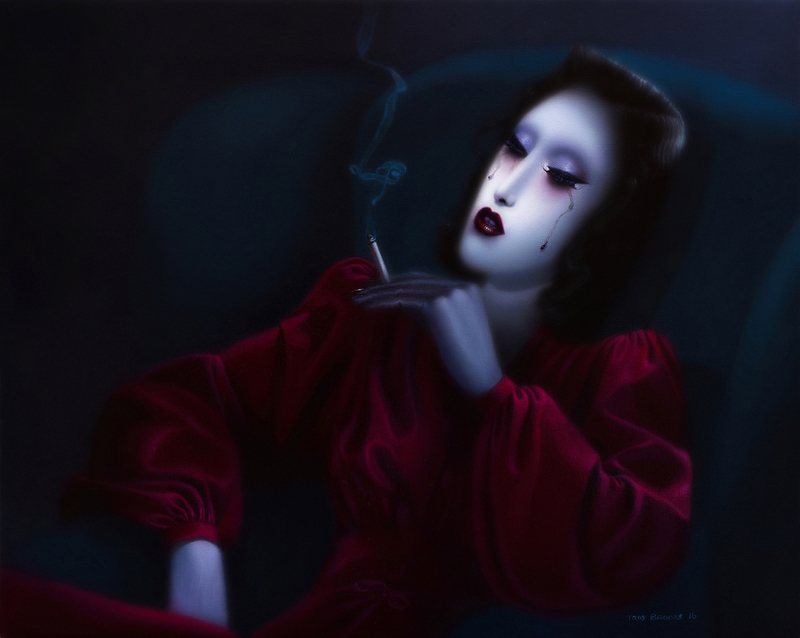 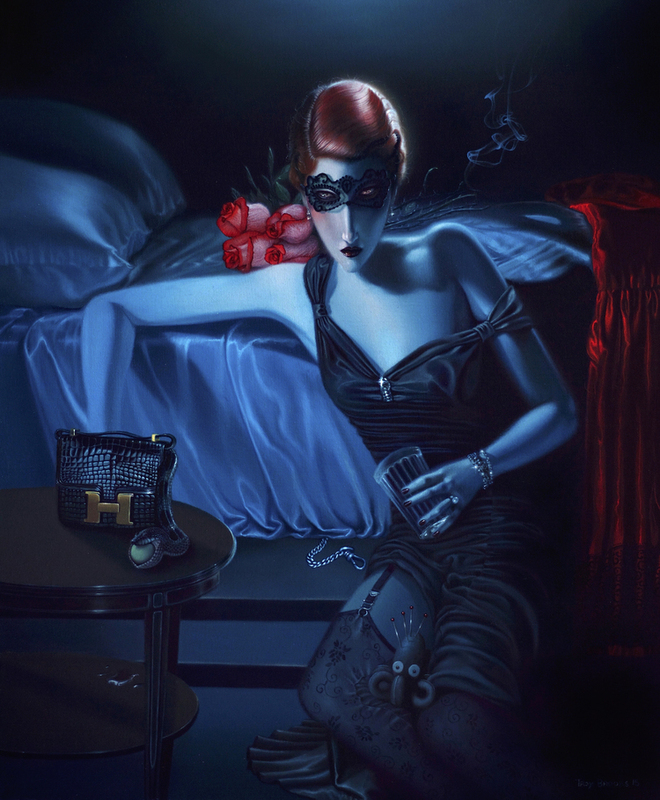 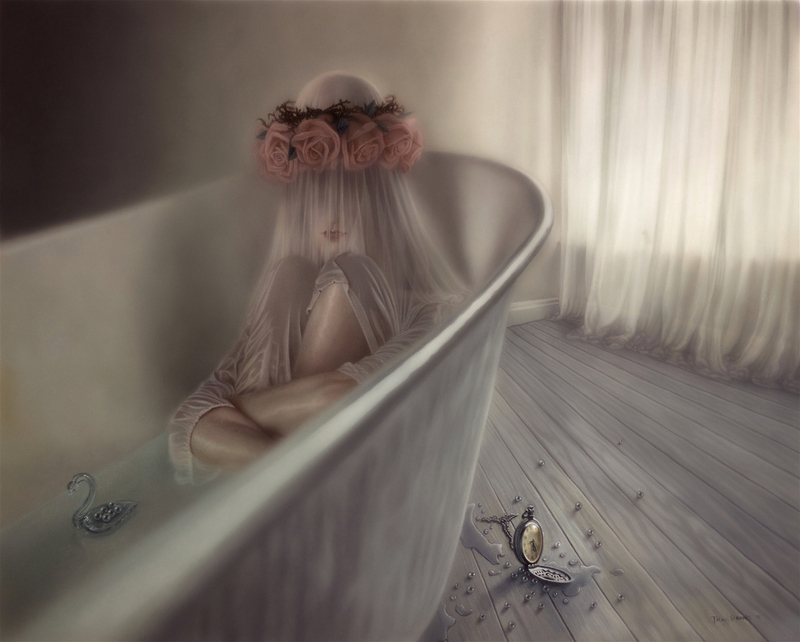 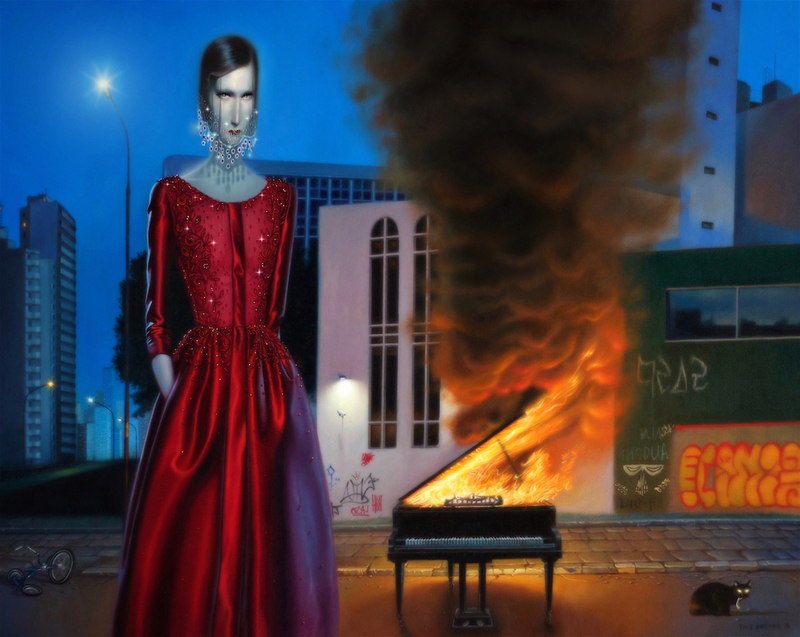 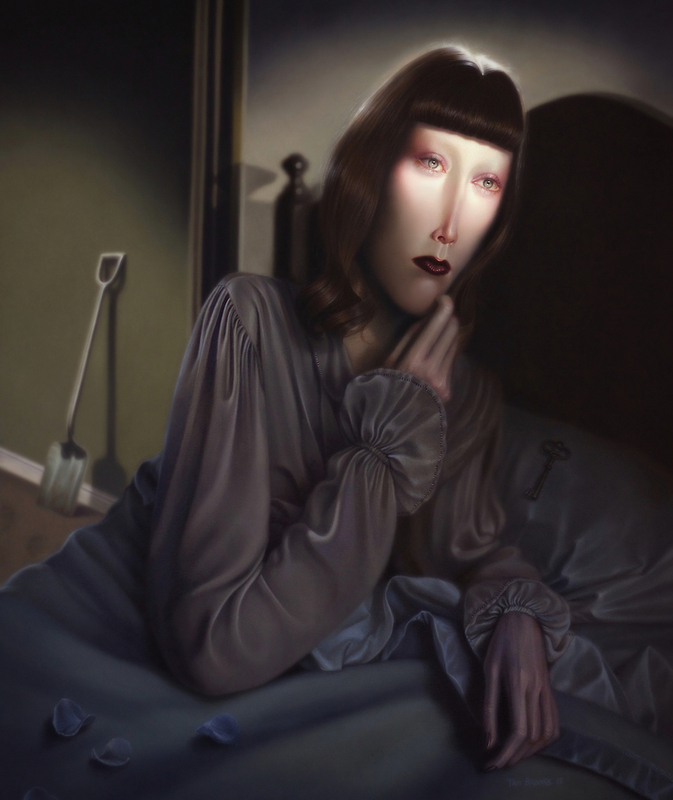 Known for his surrealistic portraits of women with stretched oval faces and simplified features, Toronto-based self-taught artist, Troy Brooks said about his characteristic work: “One thing that used to drive me crazy was that I always made the faces too long. 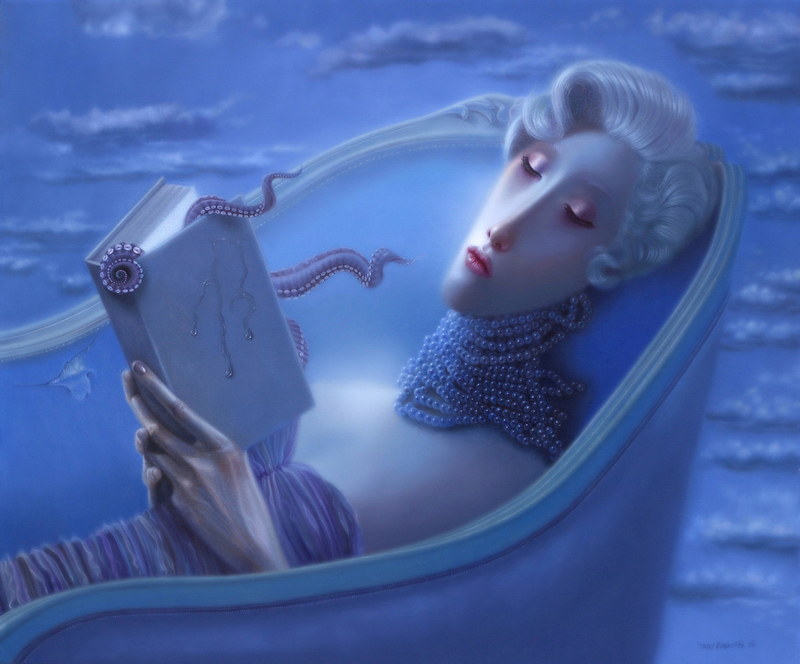 It was something I used to have to go back and fix in my drawings. 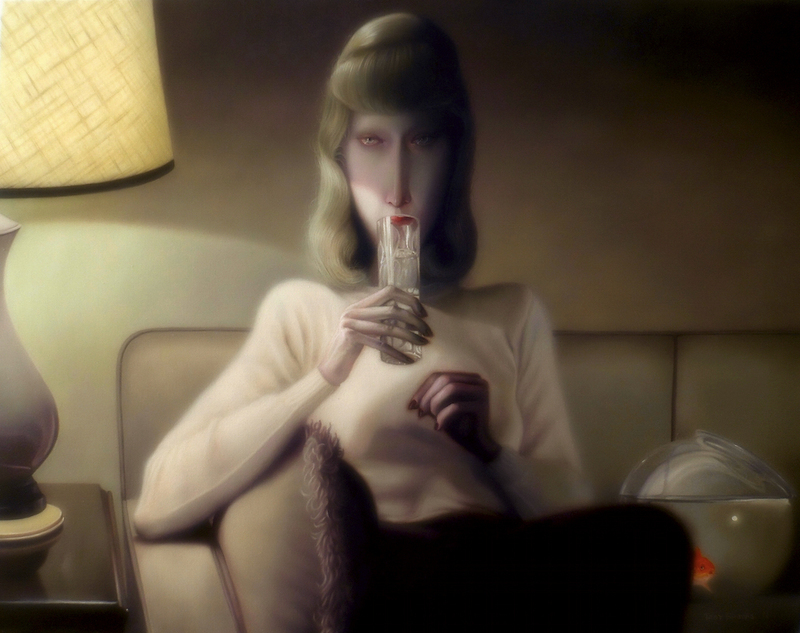 When I began creating my own characters I decided to just accentuate it,” Brooks says.